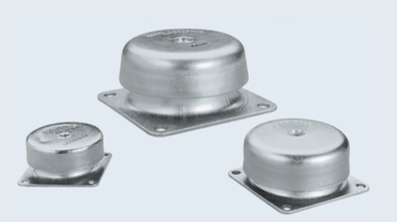 A universal set of mounts for protection from severe shock environments, high-frequency vibration and structure borne noise. Barry 2K-Series mounts offer the advantage of superior vibration and shock protection for a wide range of loads in a single compact unit. These isolators are ideal for isolating naval sonar equipment, ship board electronics and communications. Barry Hi-Damping Elastomer provides the most damping, an exceptionally high operating temperature range of -67°F to +300°F (-55°C to +150°C) and is resistant to ozone, fungus and other contaminants. Universal Black Elastomer is ideal when moderate damping is required and where oil immersion is encountered. 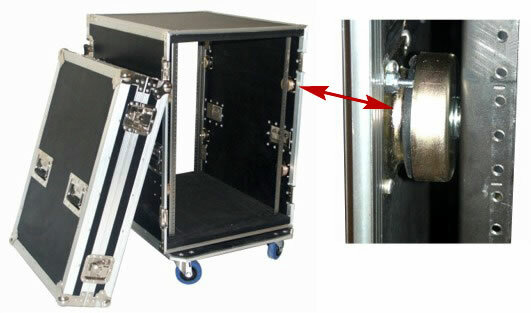 Meets MIL-M-17185 (environmental) and MIL-STD-167 (vibration) specifications. The operating temperature range is -65°F to +180°F (-54°C to +85°C). Natural rubber provides high fatigue life. Operating range is -40°F to +180°F (-40°C to +85°C). WEIGHT Series 1000 = 6 lb. Series 2000 = 1 lbs. Series 3000 = 10 lbs. Series 4000 = 4 oz.